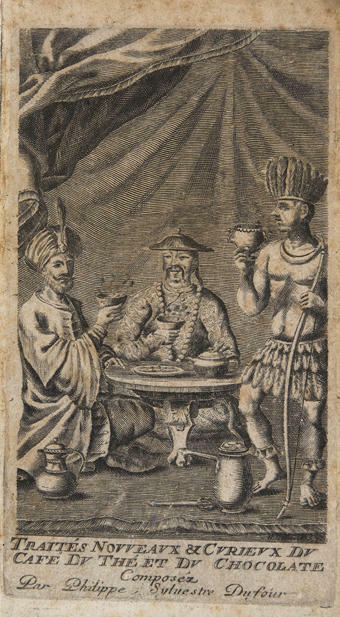 The three men (above) represent the middle east, asia and the new worlds and are depicted drinking coffee, tea and chocolate, which didn't become particularly fashionable in europe until the latter part of the 17th century, due in no little part to Dufour's popular book. 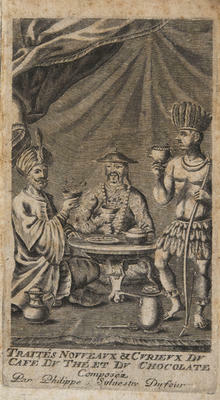 In it he describes methods for making each beverage and debates the medicinal benefits and drawbacks of the caffeine drinks; though he lifted much of the material from other sources it seems. 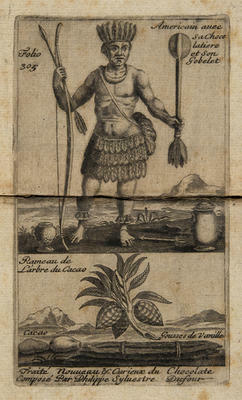 This was not the first that had been heard of chocolate or Theobroma cacao (food of the Gods) in europe. In the middle of the 16th century, two Aztec Indians produced the seminal botanical and herbal Badianus manuscript or Codex Barberini. 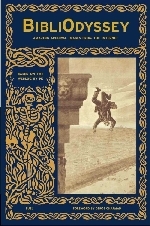 Their work was sent to King Charles V of Spain and it was reported that the Aztec King Montezuma also drank chocolate before visiting his harem. Dufour's book (the 1688 2nd edition) is online at Biblioteca Digital de Obras Raras et Especiais in Brazil (click on the book cover) but there is only one other engraving that I saw, with little in the way of artistic merit. 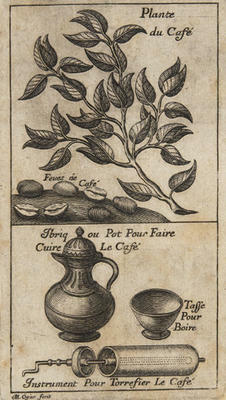 Caffeine dependencies in the early modern world. Digging up fascinating facts about chocolate. Chocolate Therapies - note the alleged origin of the word 'chocolate' below the Dufour engraving - not sure if I believe that one or not. Coffee, chocolate, tea at Kings College London.